You definitely want to stay on the Kona side of the Big Island for the quickest and easiest access to most of the snorkeling. The Kona side is also known for getting much less rain; who wants a rainy trip? There are many options for types of accommodations in this area, from simple hotels to upscale resort hotels, condos of all ranges, bed and breakfasts, and vacation rental homes or rooms. 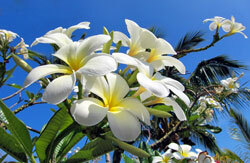 If you want hotel alternatives check out TripAdvisor's vacation rental listings for the Big Island. We recommend you find Big Island accommodations in one of three areas: the Waikoloa Resort area in Kohala north of Kona, Kailua-Kona and Keauhou area, or Kealakekua Bay area. If you choose to spend a night or two on the Hilo side to snorkel Richardson's Ocean Park and check out the volcano, there are many hotel options, but not many are upscale. If you are going to the volcano, consider staying at the Dolphin Bay Hotel. The man that runs it is the resident expert on seeing the volcano and lava as it flows over the land and into the ocean. 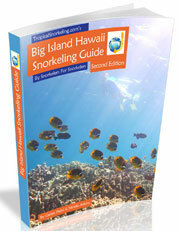 There are many snorkeling spots within reasonable driving distance of the Waikoloa Resorts. This is the area with the most upscale resort hotels like the Four Seasons Hualalai Resort, Hilton Waikoloa Village, Waikoloa Beach Marriott, Mauna Lani, The Fairmont Orchid, The Westin Hapuna Beach Resort and Mauna Kea Beach Hotel. These areas have numerous condos you can rent. There is also a small town called Waikoloa Village several miles east up Waikoloa Road where there are condos available. This can be an affordable option, and we have enjoyed the Paniolo Greens Resort up there. You will find many restaurants and shopping options in these resort areas. The most accessible to the public are at Waikoloa and Mauna Lani. The snorkeling spots are not numerous in Kona and Keauhou, but you are within a decent driving distance of most of them if you stay here. There are many options for accommodation in this area, probably the most in terms of budget choices. In Kona there is a Big Island hotel for any price range, a well known one in Kona is the Courtyard King Kamehameha's Kona Beach Hotel and another higher end one is more south in Keauhou, Sheraton Kona Resort & Spa at Keauhou Bay. You can find condos in any price range in this area too. Make sure to check the vacation rental websites for options here. You will likely find bed and breakfast choices here too. Kona and Keauhou have many restaurants to choose from and the most reasonably priced groceries on this side of the island. And of course, there is a lot of shopping. Since there are some fantastic snorkeling spots in this area, we suggest staying somewhere nearby. You may not want to stay here for your entire trip as the rest of the snorkeling is a fairly long drive north, but consider it. The accommodations near Kealakekua Bay are of the alternate type only. You will find vacation rental homes and rooms, some bed and breakfast and other unique coffee farm cottages. There are a few restaurant and shopping options up on Hwy 11.